First Grade held their annual Mother’s Day Program on Friday, May 12. 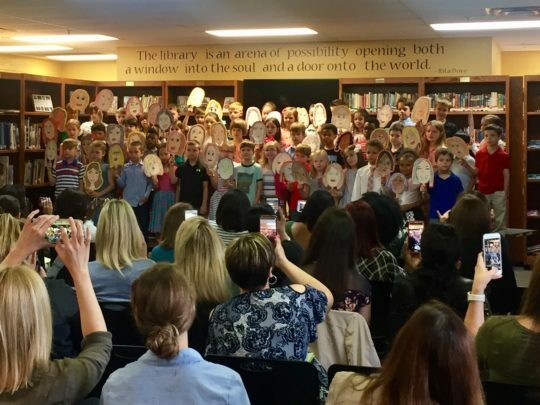 The students sang several songs and presented their mom’s with portraits they had created! 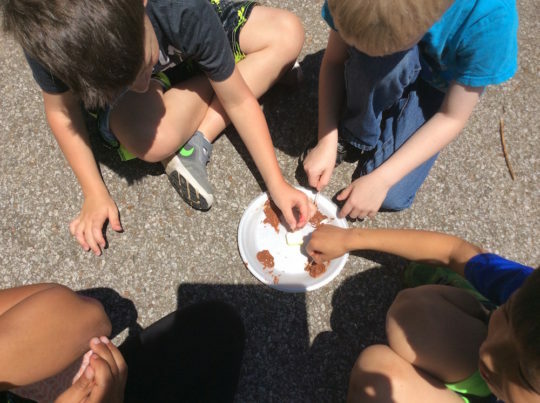 Second grade investigates how heat energy changes matter. 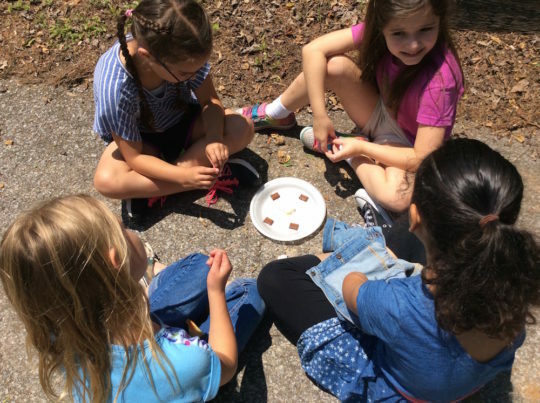 We noted our properties and mass of matter before exposure to heat energy and recorded changes after exposure. 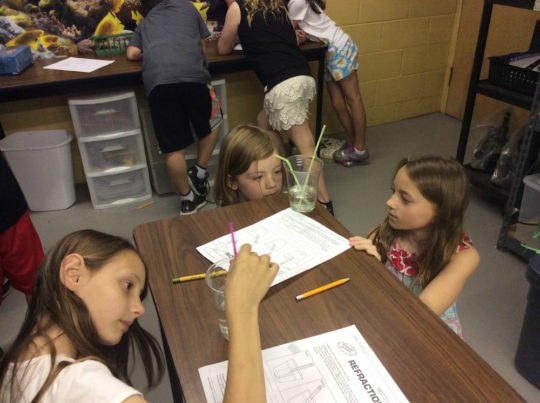 Third graders investigate the the scientific principles of refraction and reflection. They recorded three different angles of refraction using straws and completed their drawings. We also noted the power of magnification light causes when traveling through glass and water.